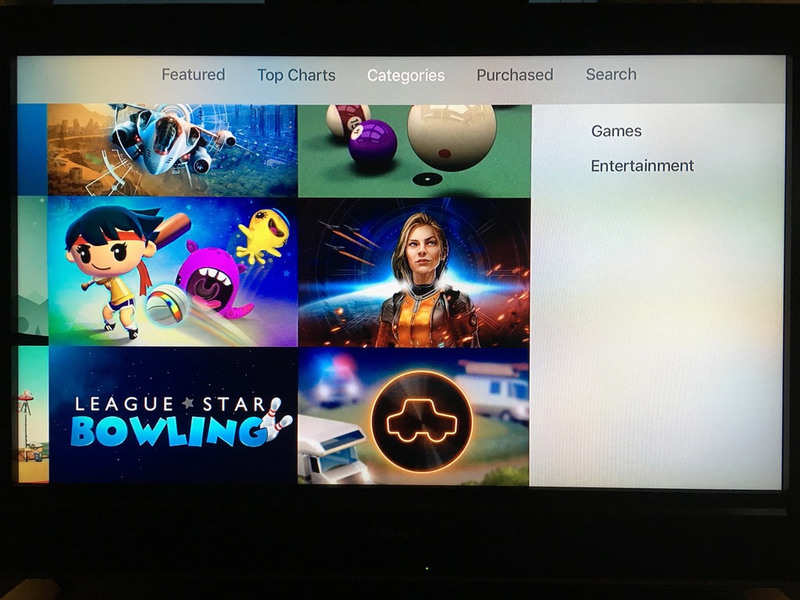 Apple has improved discovery on the Apple TV App Store by introducing two categories, Games and Entertainment. The feature joins Top Charts, which was added on Monday, but discovery remains a soft spot for for the new Apple TV. 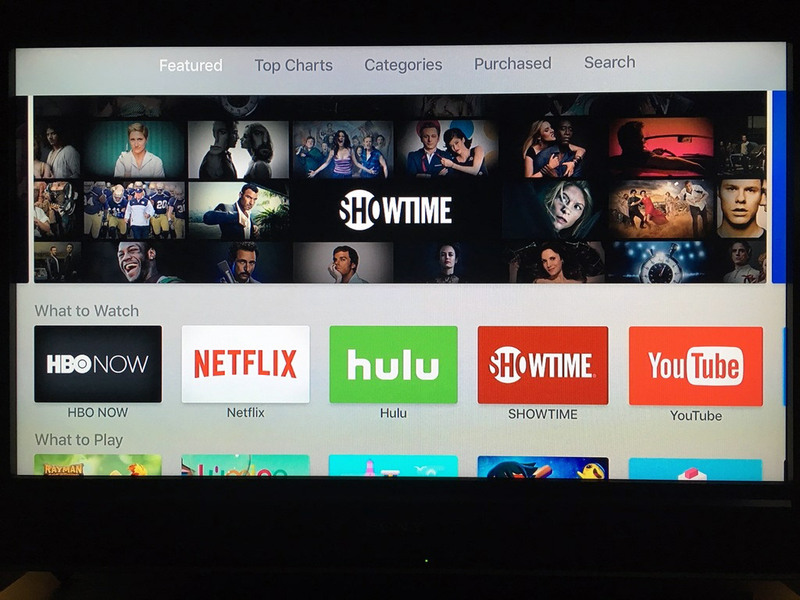 Categories can be found at the top of the Apple TV home screen, as shown on the image below. Tapping through to Categories reveals two of them, Games and Entertainment. As of Monday, there were 1,000 apps for Apple TV, and we expect Apple to add additional categories as more apps are released. When Apple TV was launched on Friday, some users complained that app discovery was hard on the device. Top Charts and Categories will greatly help.